I get my inspiration from seeing what people are wearing on the street, keeping up with what's in the shops and of course, social media. Almost always heels. Not necessarily stilettos but I would always have some sort of heel on, be it block heel or mid heel. So many to choose from. I love Mary Ortons classic style. I haven't been blogging that long, only about a year and a half but I absolutely love sharing my outfits and helping women look and feel amazing so my sheer love of it motivates me. Blake lively and Margot Robbie. Strawberry daquiri - love them! A gorgeous pink shirt from topshop. Beauty: Elemis pro collagen cleansing balm. Fashion: Neutral and grey colour palettes. Nothing booked yet but hopefully there will be lots of travel this year. The really ripped jeans trend. I can't understand how that ever took off. Just finished 'You' - so good! Ahhh so hard to choose just one. I'm going to cheat and say the zara group so zara, mango, massimo dutti etc. I couldn't just pick one. I think I would have to go with Mascara also. That would be my desert island product. 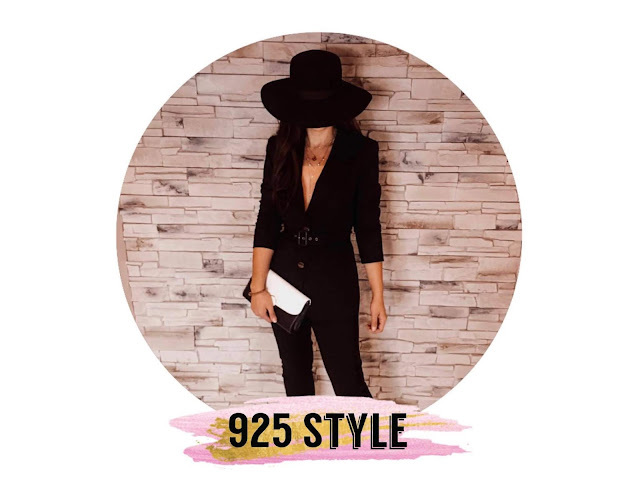 Massive THANK YOU to 925 Style for taking part.! Make sure you check out 925 Style's website and of course check out her social media for the ultimate workwear inspiration.! Don't forget you can also read my other Interview With A Blogger posts my clicking *here*. I really do enjoy getting to know some of the bloggers that I love to follow a bit more and love sharing them with you.